Nicotinamide is made from vitamin B3, also called niacin, in your body. 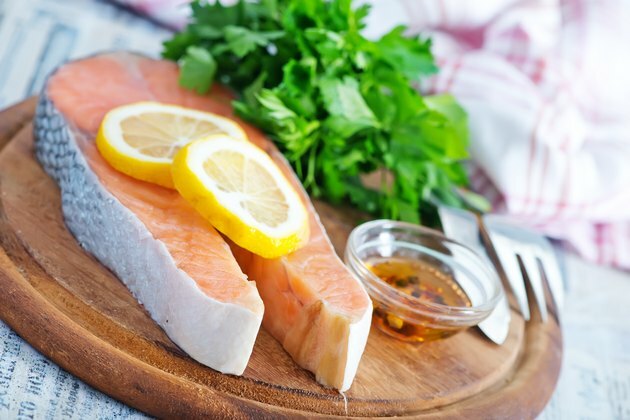 You can get nicotinamide by eating niacin-rich foods such as poultry, beef, fish and fortified cereal, or by taking a niacin or nicotinamide supplement. Nicotinamide plays an essential role in energy production and nutrient synthesis. It may also play a role in preventing type 1 diabetes and some cancers. Your body uses nicotinamide to form two important coenzymes called nicotinamide adenine dinucleotide, or NAD, and nicotinamide adenine dinucleotide phosphate, or NADP. Your body needs NAD and NADP for many essential reactions including energy production, DNA repair, regulation of cell differentiation and cell death. If you are not getting enough nicotinamide or niacin from your diet, these essential reactions may be affected. Nicotinamide may help prevent insulin-dependent diabetes mellitus, also known as type 1 diabetes. Type 1 diabetes is an autoimmune disease that results when the insulin-producing beta-cells of the pancreas get destroyed by your body's own white blood cells. According to a study published in the "The British Journal of Clinical Practice" in 1992, nicotinamide may protect beta-cells from damage and improve insulin secretion in high-risk patients. However, more research is needed to evaluate the effects of nicotinamide in treatment of type 1 diabetes. Nicotinamide may also play a role in preventing cancer. According to the Linus Pauling Institute, NAD can influence cellular response to DNA damage and help prevent cancer development. Taking increased doses of niacin with antioxidants decreased esophageal, throat and mouth cancers by 40 percent. However, more research is needed to evaluate whether taking nicotinamide has the same effects. Taking nicotinamide can help prevent a condition called pellagra, caused by vitamin B3 deficiency. Pellagra can cause dark red skin rash on your hands, feet, calves, neck and face, gastrointestinal problems, fatigue, insomnia and memory loss. If left untreated, pellagra can be fatal. Pellagra is treated by taking high doses of nicotinamide or niacin. Although nicotinamide is better tolerated than niacin, consuming high amounts can lead to toxicity. Symptoms of overconsumption include vomiting, nausea and hepatitis. The recommended upper intake level for nicotinamide and niacin is 35 mg per day. Taking niacin can help lower blood cholesterol levels and lower your risk of heart diseases. However, this effect is only found when consuming niacin, also known as nicotinic acid, and not nicotinamide.